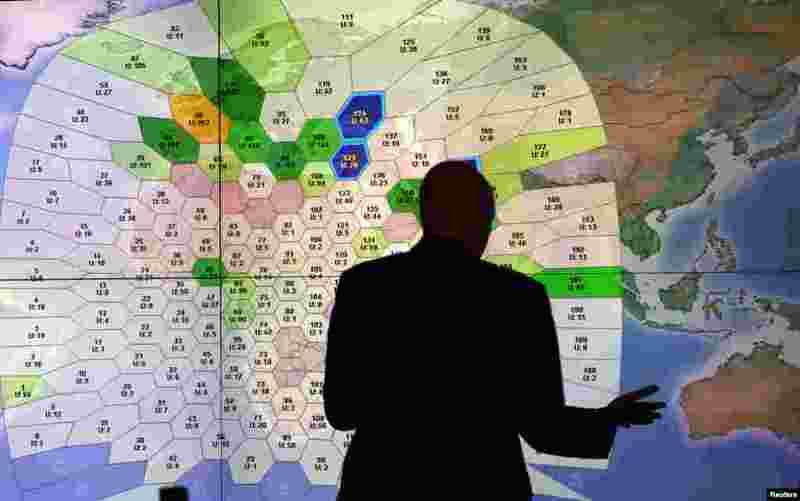 ۱ A member of staff at satellite communications company Inmarsat works in front of a screen showing subscribers using their service throughout the world, at their headquarters in London. Britain's Inmarsat used a wave phenomenon discovered in the nineteenth century to analyze the seven pings its satellite picked up from Malaysia Airlines Flight MH370 to determine its final destination. 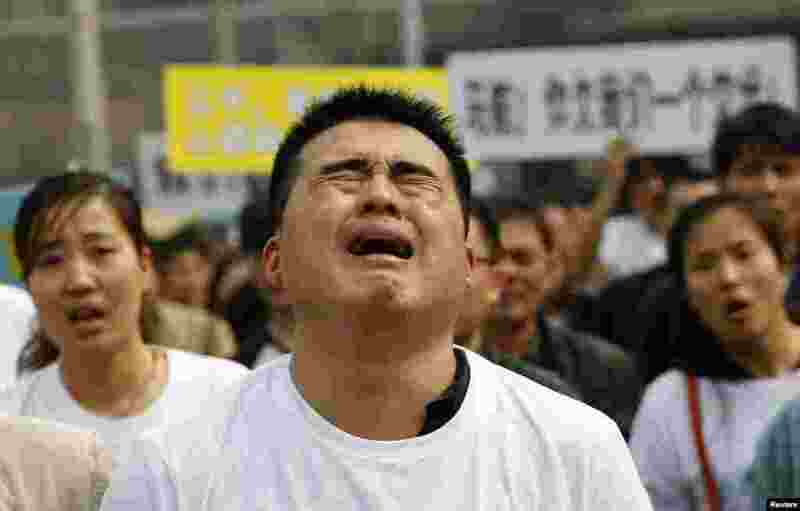 ۲ A family member of a passenger on board Malaysia Airlines MH370 cries as he shouts slogans during a protest in front of the Malaysian embassy in Beijing, China. 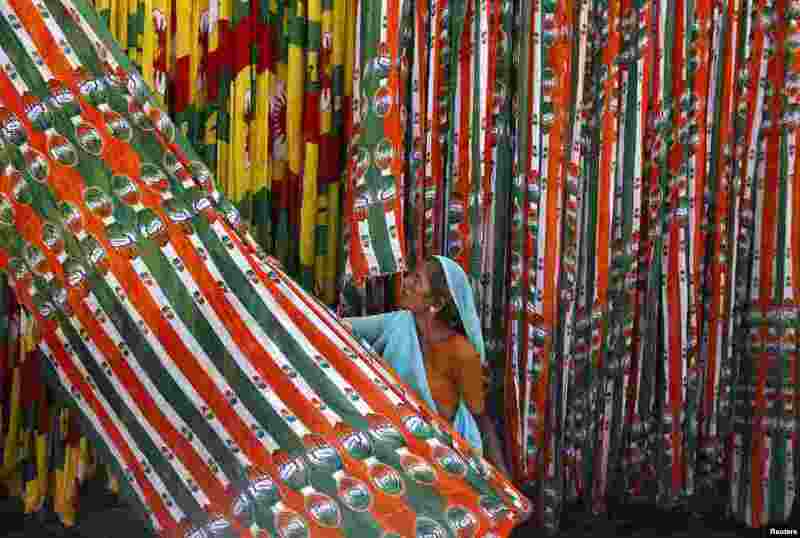 ۳ A worker pulls a roll of flags of India's ruling Congress party, kept for drying at a flag manufacturing factory, ahead of the 2014 general elections in the western Indian city of Ahmedabad. 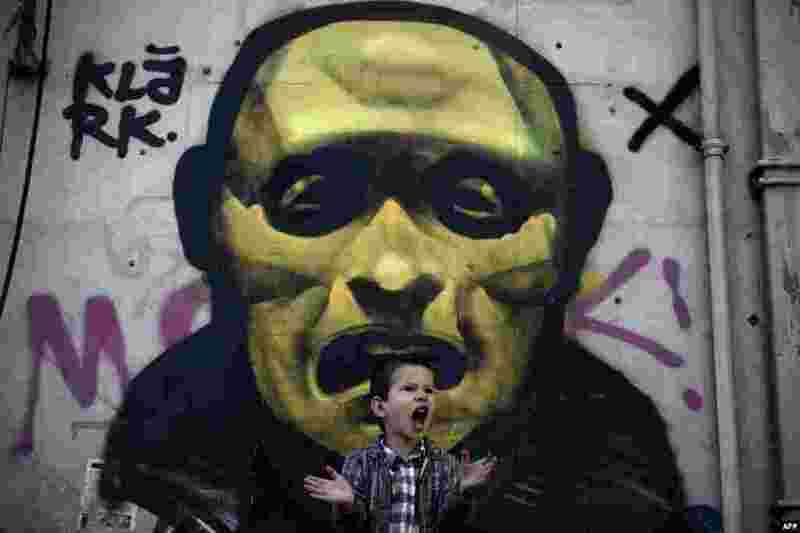 ۴ A young boy shouts in front of a street painting in central Athens during a ceremony marking the Greek Independence Day. 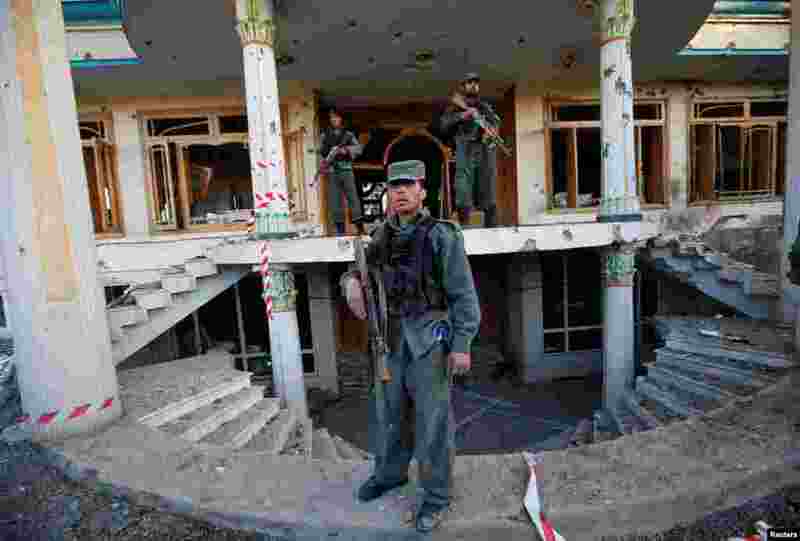 ۵ Afghan policemen stand guard at an election commission office after an attack by suicide bombers and gunmen in Kabul. 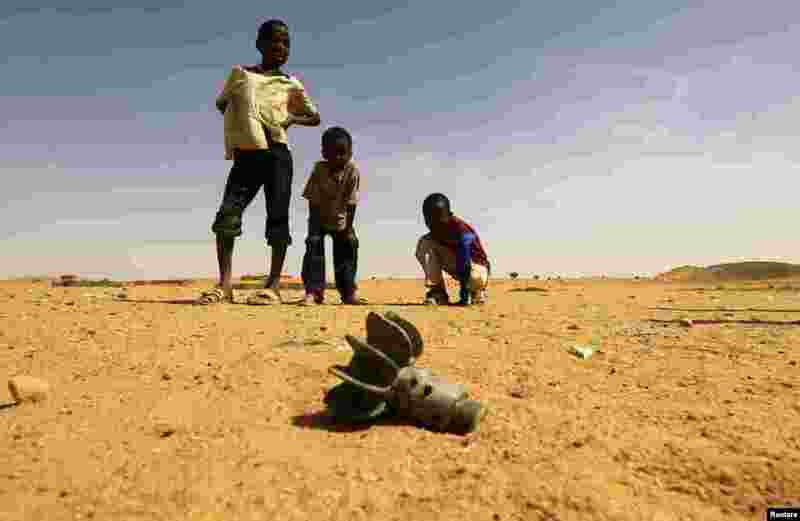 ۶ Children look at the fin of a mortar projectile that was found at the Al-Abassi camp for internally displaced persons, after an attack by rebels, in Mellit town, North Darfur, Sudan. 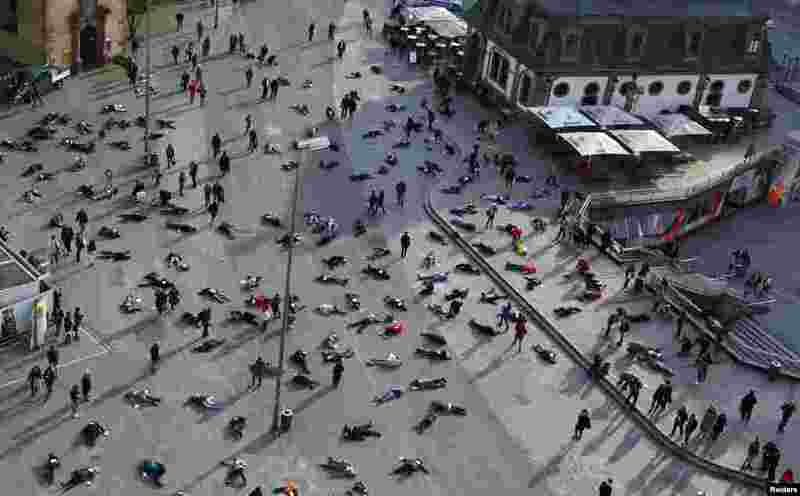 ۷ People lay down in a pedestrian zone as part of an art project in remembrance of the 528 victims of the "Katzbach" Nazi concentration camp, in Frankfurt, Germany, Mar. 24, 2014. The inmates of the Katzbach concentration camp, a part of the former Adler industrial factory, were forced into a death march to the concentration camps of Buchenwald and Dachau on Mar. 24, 1945. Some 528 victims of Katzbach are buried at Frankfurt's central cemetery. 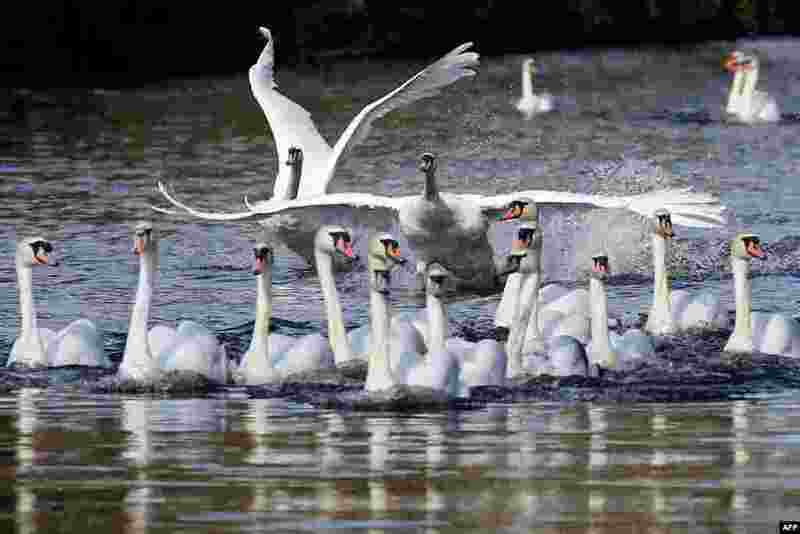 ۸ Swans swim on a side canal of the river Alster after they were released from their wintering grounds in Hamburg, northern Germany.